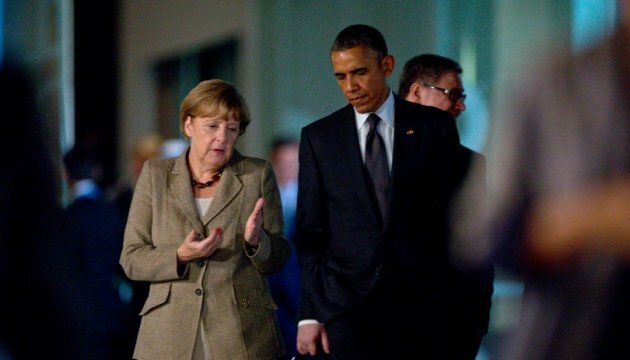 U.S. President Barack Obama in a telephone conversation with German Chancellor Angela Merkel expressed condolences for the victims of recent terrorist attacks in Germany and discussed implementation of the Minsk agreements. This is reported by Radio Liberty, referring to the White House press office. In particular, President Obama offered Germany the U.S. Government’s full support as the investigations into the attacks proceed. "The President and Chancellor also discussed the situation in Ukraine and reiterated the urgent importance of durably ending the violence in eastern Ukraine and of full and rapid implementation of the Minsk agreements," the statement reads. As a reminder, the United States, as well as other G7 member countries and some other states and the European Union have imposed sanctions on Russia in connection with the occupation of Crimea and Moscow's aggression in eastern Ukraine.